Every day area rugs are exposed to elements such as sunlight, mud, dirt, dust, heavy furniture, foot traffic and more, and each of these elements contributes in its own way to the overall weakening condition of the rug. Fortunately, Boynton Beach Oriental Rug Cleaning Pros can help put a stop to this decline, and instead we can help strengthen and restore the life of your area rug. To do so, our team will examine all parts of your area rug, including one of the most vital and damage-prone portions: your rug’s fringes. In time, even the most high quality area rugs become worn. Their tassels and once-tight fringes begin to loosen and unravel, and their edges begin to fray. From basic fringe cleaning to extensive replacements, our rug cleaning pros can accommodate any need or request. We service rug fringes that have experienced staining due to everyday wear and tear, or damages caused by improper vacuuming. Using our specialized tools and proven techniques, our professionals guarantee to restore your fringes to their original state—regardless of whether your area rug is hand woven or machine-stitched. After analyzing the state of your area rug, our team will clean the fringes at regular intervals with a soft bristle brush in order to comb out the dirt as gently as possible. 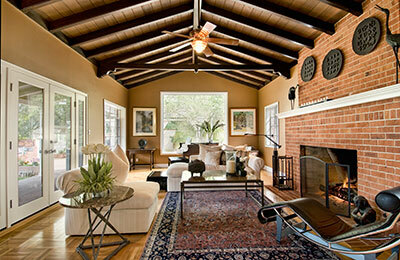 Our staff uses a special solution to clean out the fringes carefully and meticulously, and also safely. With our combination of specialized tools and the use of mild solutions, we’re able to efficiently restore the condition of the fringes without placing the rug in a machine, which could easily cause the tassels to loosen or break away. Our care and precision allows us to offer specialized custom cleaning services that vary depending on the type of fringes your rug includes and the extent of restoration needed. 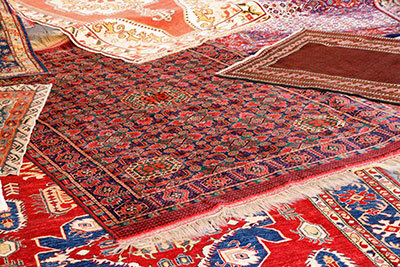 While we strive to return your area rug to you as soon as possible, we never rush through are cleaning processes. 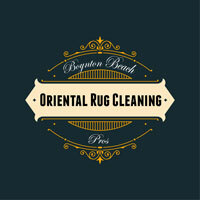 It takes time and a strong attention to detail to deliver the right results and a proper finished product, and Boynton Beach Oriental Rug Cleaning Pros is dedicated to delivering just that for every rug we service. The way we clean your area rug will ultimately depend on many factors, perhaps most prominently on its age and materials. Some area rugs can handle heavy machine interference: others will absolutely demand a slow and gentle hand washing. Whichever is the best way to clean, we'll recognize it and proceed accordingly, rinsing away until every last unwanted visitor is gone from your precious area rug. Afterwards, we'll dry the puppy out in a way that leaves the fabrics soft and the colors as strong as ever – no dye fading to worry about when you're in business with our team.